UK mining company “Mineco Group” prepares for construction of second mine in Bosnia, Olovo lead mine. Mineco is marketing Serbian and B&H lead and zinc throughout the world. Sometimes Mineco sends ore to smelting plants in the neighbouring region, and sometimes to more distant regions. Preparations for the construction of the first mine in Bosnia and Herzegovina after thirty years are underway, and they have lasted for almost four years. The international group “Mineco”, which is investing a total of 10 million USD in the project of the lead mine in Olovo, is planning to create 250 jobs. At the beginning of February, “Mineco” group submitted the application for planning permit to the Federal Ministry of Spatial Planning officially, too. 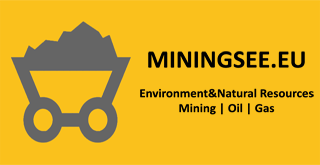 However, for the mine to start operating, after obtaining the planning permit, in the next period, it will be necessary to obtain from the Federal Ministry of Energy, Mining and Industry the exploitation permit, the permit for works execution according to the main mining project and the use permit. Emphasizing the fact that the annual ore exploitation capacity will be 150.000 tons per year, the director of the company “Geomet”, Ismar Šabović, stresses that the entire process of obtaining all necessary permits is highly demanding due to the fact that all required documentation is obtained at the local and cantonal level, as well as the federal level, which is slowing down the overall implementation of this investment to a large extent. At a recent meeting, which was held with the Federal Minister of Mining and Energy, Nermin Džindić, the information was obtained that administrative requests would be addressed as soon as possible and that the Ministry would provide all possible support. The first step has already been made by the formation of the working group for monitoring the activities for the implementation of the project of opening the “Mineco” lead mine in Olovo. The mine start-up will create four indirect employment opportunities per each employee at the mine, which will ultimately have a significant impact on the long-term development of the local community in Olovo. The representatives of “Mineco” believe that this is a long-term investment in the economy of BiH and they are convinced that they will be met with understanding in all competent institutions so as to obtain all necessary documentation and to soon open the first newly opened mine in BiH in the last 30 years. “We have always reinvested our profit into the mines, which makes our company liquid. We survived the economic crisis seeing many of our competitors who are dependent on loans slowly going towards liquidation. We consolidated our position and now we expect a period of company growth in this region in the next 3 to 5 years”, estimated earlier the COO of Mineco Ltd, Dominic Roberts.